September marks FEMA’s National Preparedness Month and the Gadsden/Etowah County Emergency Management Agency is focusing its efforts on making sure this area is prepared for anything. FEMA’s suggested steps to creating a plan are: knowing how emergency alerts will be received, learning where shelters are, learning evacuation routes, developing a family communication plan, considering specific needs, writing out emergency plans and then practicing those plans. Week Two will be focused on learning life-saving skills. This week is when the local EMA will push CERT, which stands for Community Emergency Response Team. Currently, there are around 300 CERT members in Etowah County, who are trained in disaster medical response, fire safety, search and rescue, team organization, emergency preparedness, disaster psychology and terrorist awareness. All CERT training is free and consists of six mandatory classes. David Elliott, the volunteer manager and logistics manager for the local EMA, said that there is something that everyone can do and that the classes are very hands on. Week Three will be all about making sure you have the right insurance coverage. The EMA suggests looking over all insurance policies, such as homeowners, car, medical and life insurance, and making sure that all items are well insured. Make sure that businesses are insured fully as well. Cole suggests snapping photos of all items in your home and keeping digital copies of those photos. Week Four will be dedicated to financially planning for emergencies. It is critical to have records of everything financially, personally and medically. The EMA suggests having cash in all emergency kits. Apart from needing cash, the EMS also suggests setting up a savings account dedicated solely to emergency needs. The Gadsden/Etowah County EMA will be uploading more tips on its website, GECEMA.com and on its social media sites. For more information on the National Preparedness Month or CERT classes, visit GECEMA.com or contact the EMA at 256-549-4575. 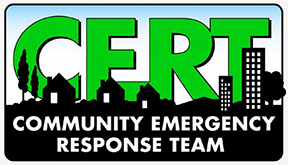 Fall 2018 Community Emergency Response Team (CERT) training classes will be held on Sept. 18, 20, 25 and 27 and Oct. 2 and 4 from 5 p.m. – 8:30 p.m. The free training highlights the importance of neighbors helping neighbors in the aftermath of a disaster. It covers basic skills that are important to know when emergency services are not immediately available. The Etowah County CERT program consists of lecture-based learning with hands-on training in basic disaster response skills such as Fire Safety, Search and Rescue, Disaster Medical Operations, and Team Organization. Call the Gadsden/Etowah County EMA at 256-549-4575 to sign up. You must attend all six classes to receive training accreditation. Remember, first responders can’t be everywhere after a disaster hits. That’s where the public comes in. For more information, contact the Gadsden/Etowah EMA at 256-549-4575.